It’s not everyday that everyone is able to get a glimpse of new technology without being a member of the press. 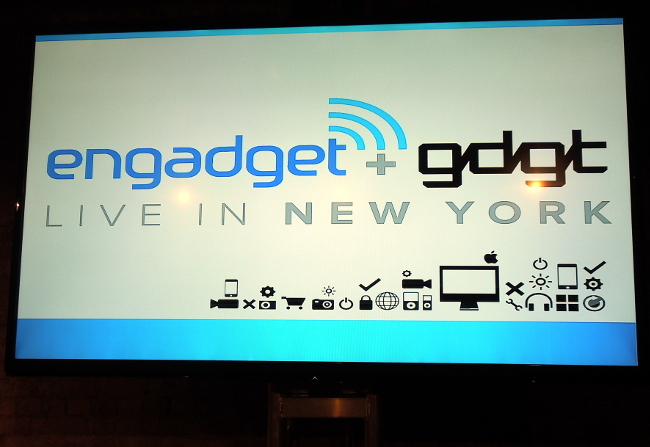 Thankfully, Engadget and gdgt were able to connect New York City technophiles with beloved brands as well as many emerging brands. It was a rare opportunity to interact directly with big brands like Sony and Samsung while getting a hands-on look at tons of new technology they mostly only read about online. However, if that wasn’t enough, there were also breakout sessions were you could go further with a couple of brands like Sony and Samsung. The sessions began with Samsung mobile’s VP of Product Planning & Product Marketing, continued with Sony’s Senior Manager of Public Relations and continued on to the most influential voices in tech. It was an opportunity that went beyond the blogs and gave brands a deeper connection into their core audience. A truly unique experience that pretty much are welcomed anytime! Now, without further ado, it’s time to check out the photos from the event! In the coming days we’ll be highlighting the tech that amazed us during the show! So, please keep an eye out for them!